Did Hilton make a big mistake? Last week Hilton executives made the decision to withdraw their TLD application for .HILTON. Did they make a mistake? Are they losing an opportunity to differentiate? Yes and yes. Why and what impact is the decision likely to have as the .BRAND registry era begins? Unclear, but two competitors are happier this week. Hyatt and Marriott are moving forward. Others hotel brands will likely apply in Round 2. We must assume Hilton didn’t see how the registry could improve the guest experiences at their 540 locations and drive advocacy into social. They just didn’t see the innovation potential of the beachfront property with their brand’s name on it. Hyatt and Marriott are alone. They have the opportunity to innovate and create differentiated service experiences based on an authentic, secure, controlled and effective .hyatt or .marriott registries. If you think about the business problems facing a large respected hotel brand you can imagine how a registry can be applied to address and differentiate. Let’s take simple but challenging guest acquisition performance. Think of a direct response campaign that drives traffic to website. “GUEST.HYATT” is more memorable than www.hyatt.com/guest, interesting and different too. If the response rate increases due to memorable and curiously differentiated URL, would that justify the cost of a registry. You bet it would, and that is just the simple beginning. What’s really interesting are the opportunities to enhance the stay experience by connecting the offline and online worlds with a personalized communication and content marketing vehicle. Consider key hotel business performance metrics; 1. Rate of repeat guest stays, and 2. Revenue per guest stay. How could a .BRAND registry engagement initiative impact those core performance metrics? At guest booking, set up “guestname.hyatt.” Welcome, check in, connect and learn what this location and the surrounding area has to offer. Check out the geo-enabled nightlife or dining reviews, entertainment and local attractions. Access branded mobile applications to enrich area discovery, all to maximize guest stay experience. Check out LIVE what’s happening in the lounge downstairs, order stuff, collect and redeem rewards. All found at a personalized ‘guestname.hyatt’ registry URL. If the guests dig it, they share it and Hyatt gains thousands of points of entry into social channels, postings that are authentic voice of the customer advocacy. Now, perhaps you don’t need that expensive direct response campaign. Rather, invest in the guest experiences that create brand affinity and drives advocacy in social channels. Analyze behaviors, measure, analyze and adjust to become increasingly relevant to your very best guests. Not done yet. Visit another Hyatt and feel the same welcoming experience. Now guests know how to get the most out of their “guestname.hyatt” enriched stay. When they depart and go home, they can login, adjust stay preferences. Then prior to arriving on the next Hyatt trip, they can have the concierge research and prepare a tour and/or have dinner reservations for two ready on arrival. Make an engaged Hyatt guest a special guest. When they love it – they share it. Generate guest/brand affinity and motivate advocacy actions. 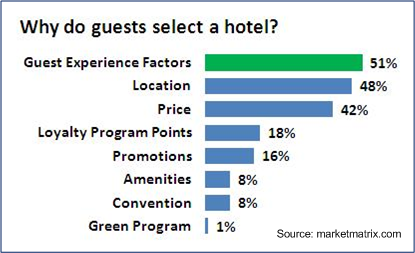 Now that is a different hotel experience and that generates returns, all made possible by ownership of a .BRAND registry. This is a simple, assumptive glimpse of what a .BRAND registry could enable for a hotel brand. There are many innovative and fun ways a hotel could, with a proprietary .BRAND registry, generate authentic engagement experiences that are valued and share worthy. Time will likely reveal that Hilton made a mistake. You can understand why they missed it. The value of a .BRAND registry is a nebulous idea. It takes informed resources to think and manage it, timing remains uncertain and the www.hilton.compresence is excellent, so one can excuse them for not seeing the potential. Yet they did and it’s a shame they gave up on the opportunity to innovate guest experiences. See you in round two Hilton. Posted on July 1, 2013 by bill keenan.